Hanover, Germany/Gothenburg, Sweden - January 6, 2014. Johnson Controls, a global multi-industrial company with core businesses in the automotive and building industries, received three awards from the Volvo Car Corporation. Presented to the best partners annually, these awards honor the outstanding achievements of Johnson Controls – both as Volvo supplier for automotive batteries and as a company. Johnson Controls’ battery production sites in Hanover and Zwickau, Germany, each received a Volvo Cars Quality Excellence Award . 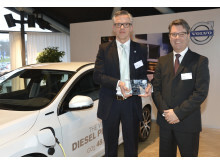 Additionally, the global leader in automotive batteries won the Volvo Cars Award of Excellence 2013 in the category “Environmental and Social Responsibility”. 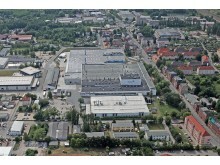 In 2013, Johnson Controls invested more than 100 million euros in the expansion of its factory in Zwickau, making it the world’s largest production site for Start-Stop batteries. 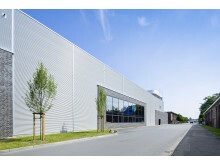 On-site, CO2 emissions were reduced by around 500 tons per year. Since 2007, Johnson Controls has produced 20 million Absorbent Glass Mat (AGM) batteries. This has saved almost 4 million metric tons of pollution, which equals 87 million trees saved or 680,000 vehicles taken off the road. With the VARTA® brandand the VARTA® Start-Stop Plus battery, Johnson Controls also offers AGM technology in the form of replacement parts for vehicles with Start-Stop systems. The battery is the heart of the Start-Stop system, as it supplies all on-board electrical devices with power whenever the vehicle comes to a stop, and restarts the motor as soon as the clutch is depressed. As good as the original, the VARTA® Start-Stop Plus battery is equal to these exacting requirements. Johnson Controls Power Solutions, the global leader in lead-acid automotive batteries and advanced batteries for Start-Stop, hybrid and electric vehicles. In fact, our 50 manufacturing, recycling and distribution centers supply more than one third of the world’s lead-acid batteries to major automakers and aftermarket retailers. And through our innovations, we are building the advanced battery industry for hybrid and electric vehicles too: we were the first company in the world to produce lithium-ion batteries for mass-production hybrid vehicles. Our commitment to sustainability is also evidenced by our world-class technology, manufacturing and recycling capabilities. 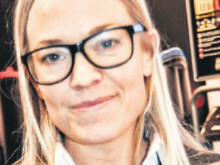 Innan den publiceras måste den godkännas av Johnson Controls Power Solutions. 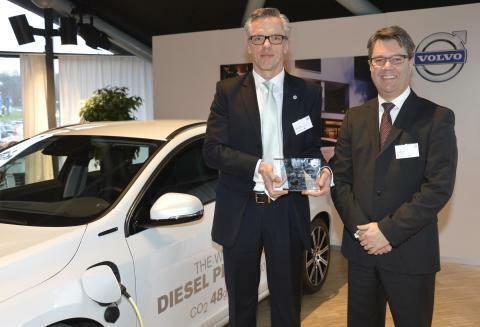 Johnson Controls won the Volvo Cars Award of Excellence 2013 in the category “Environmental and Social Responsibility”. 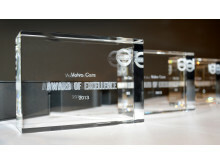 Johnson Controls’ battery production sites in Hanover received a Volvo Cars Quality Excellence Award.